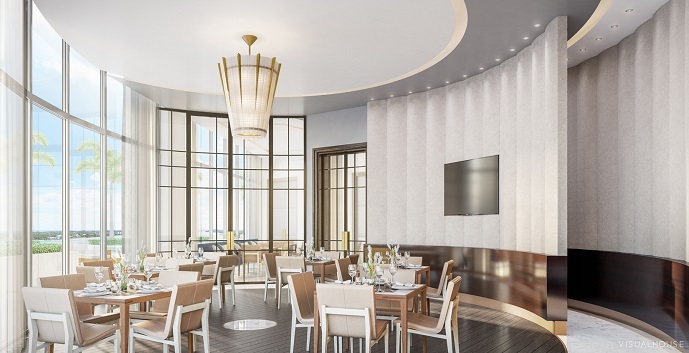 Construction on West Palm Beach’s newest ulta-luxurious condominium, The Bristol, has finally begun. 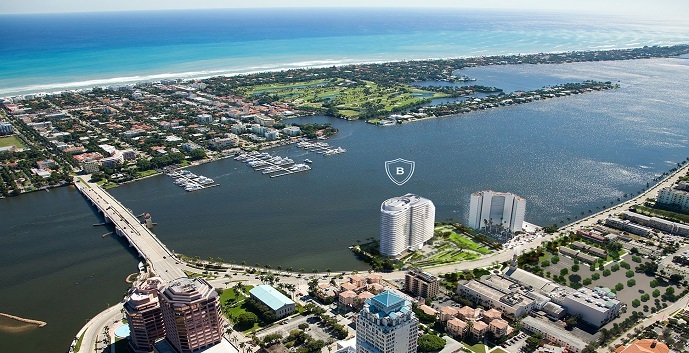 The 25 story waterfront condominium is being constructed on the former site of the Chapel-by-the Lake on Flagler Drive, just south of the Royal Park Bridge. 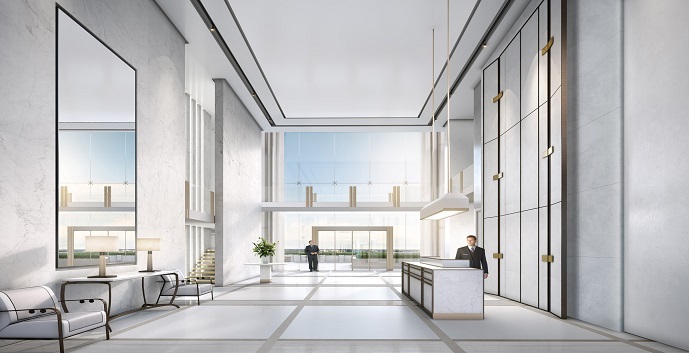 This soon to be iconic building will boast unobstructed views of the Intracoastal Waterway, Palm Beach Island and the Atlantic Ocean. 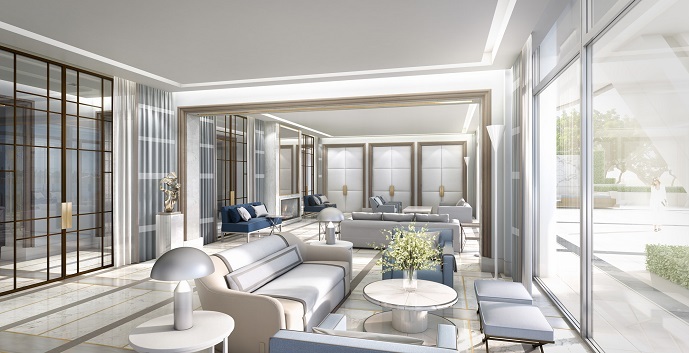 The first four floors will be devoted to parking, a grand lobby and lavish amenities including a state of the art spa equipped with his and her massage rooms, treatments rooms, whirlpools, beauty salon and more. 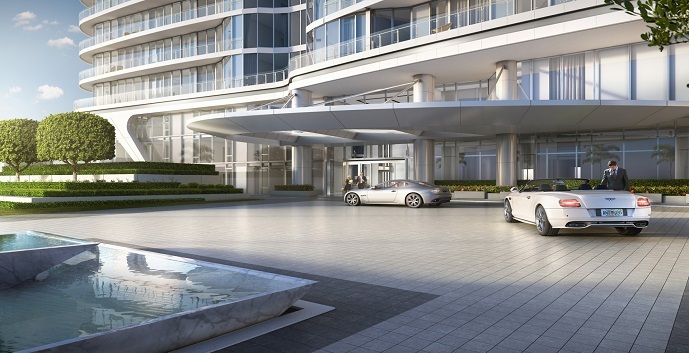 Out of the 69 available units, 6 of them will be penthouses. 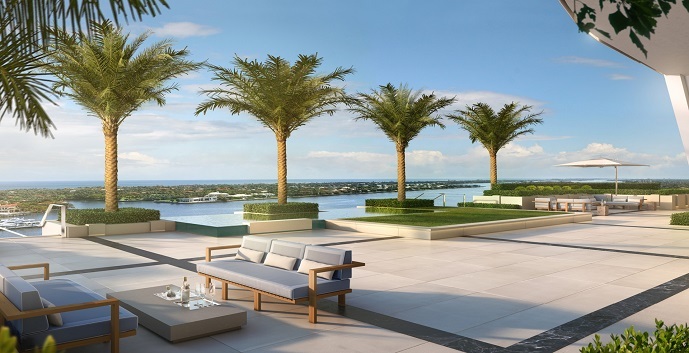 The residences themselves will have from 3 to 5 bedrooms ranging in size from 3,700 square feet to 14, 000 square feet. 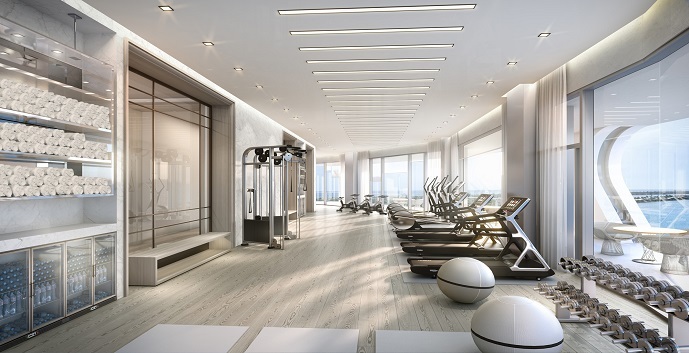 Residents here will enjoy a resort style pool and sundeck, state of the art fitness room, an elevated garden and terrace area, 24 hour concierge service and of course, unsurpassed water views from floor to ceiling windows. Pre-construction contracts are being taken now and construction is estimated to be completed in approximately 2 years. 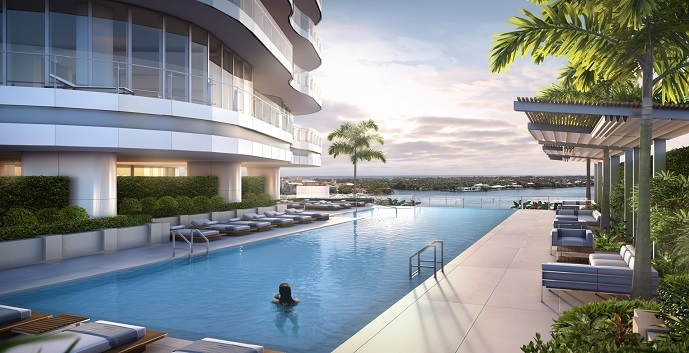 Unit A Floors 5-17: 3 bedrooms, 4 and 1/2 bathrooms, 4,358 sq.ft. Prices coming soon. Unit A Floors 5-17: 4 bedrooms, 5 and 1/2 bathrooms, 4,358 sq.ft. Prices coming soon. Unit B Floors 5-17: 3 bedrooms, 3 and 1/2 bathrooms, 3,825 sq.ft. Prices coming soon. Unit B Floors 5-17: 3 bedrooms, 3 and 1/2 bathrooms, 3,575 sq.ft. Prices coming soon. Unit C Floors 5-17: 3 bedrooms, 3 and 1/2 bathrooms, 3,575 sq.ft. Prices coming soon. Unit D Floors 5-17: 3 bedrooms, 4 and 1/2 bathrooms, 4,758 sq.ft. Prices coming soon. Unit D Floors 5-17: 4 bedrooms, 5 and 1/2 bathrooms, 4,758 sq.ft. Prices coming soon. Unit A Floors 18-22: 4 bedrooms, 5 and 1/2 bathrooms, 5,544 sq.ft. Prices coming soon. Unit B Floors 18-20: 4 bedrooms, 5 and 1/2 bathrooms, 5,181 sq.ft. Prices coming soon. Unit C Floors 18-19: 3 bedrooms, 5 and 1/2 bathrooms, 5,492 sq.ft. Prices coming soon. Unit C Floors 18-19: 4 bedrooms, 5 and 1/2 bathrooms, 5,492 sq.ft. Prices coming soon. Unit C Floor 20: 3 bedrooms, 5 and 1/2 bathrooms, 5,117 sq.ft. Prices coming soon. Unit B Floor 21: 3 bedrooms, 4 and 1/2 bathrooms, 4,805 sq.ft. Prices coming soon. Unit C Floor 21: 4 bedrooms, 5 and 1/2 bathrooms, 4,959 sq.ft. Prices coming soon. Unit B Floor 22: 3 bedrooms, 4 and 1/2 bathrooms, 4,367 sq.ft. Prices coming soon. Unit C Floor 22: 4 bedrooms, 5 and 1/2 bathrooms, 4,994 sq.ft. Prices coming soon. 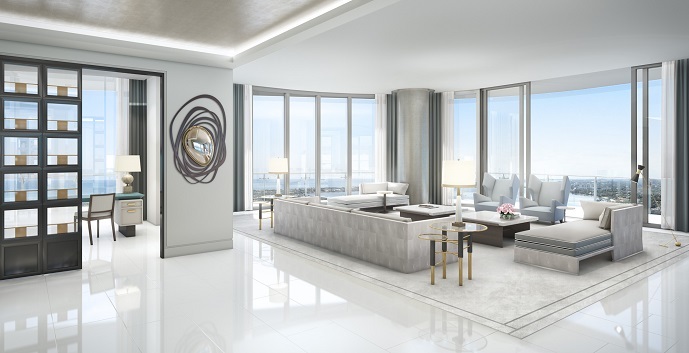 Penthouse South Floor 23: 4 bedrooms, 5 and 1/2 bathrooms, 9,231 sq.ft. Prices coming soon. Penthouse North Floor 23: 4 bedrooms, 5 and 1/2 bathrooms, 5,672 sq.ft. Prices coming soon. 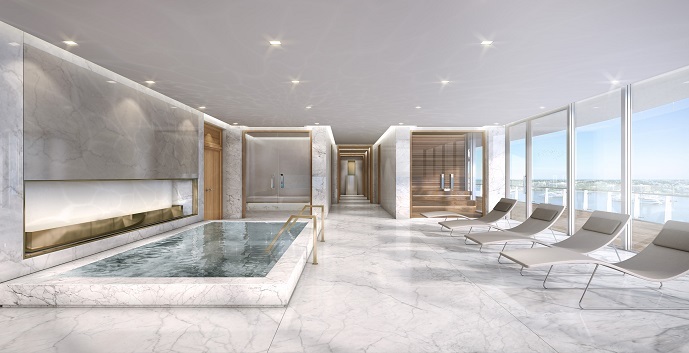 Penthouse South Floor 24: 4 bedrooms, 5 and 1/2 bathrooms, 8,377 sq.ft. Prices coming soon. 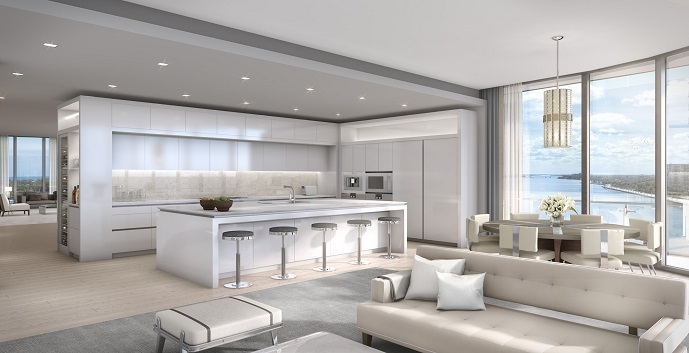 Penthouse North Floors 24-25: 5 bedrooms, 6 and 1/2 bathrooms, 6,136 sq.ft. Prices coming soon. Penthouse South Floor 25: 3 bedrooms, 4 and 1/2 bathrooms, 6,760 sq.ft. Prices coming soon.